Too Many Pumpkins: Book and Pumpkin Patch Craft for Kids! 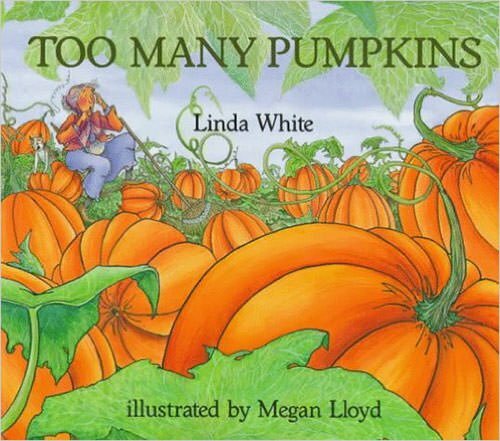 Too Many Pumpkins by Linda White is a delightful fall story your kids will love. The book’s main character, Rebecca, has a pumpkin patch problem on her hands! The illustrations in the book bring the wonderful autumn season alive for kids. 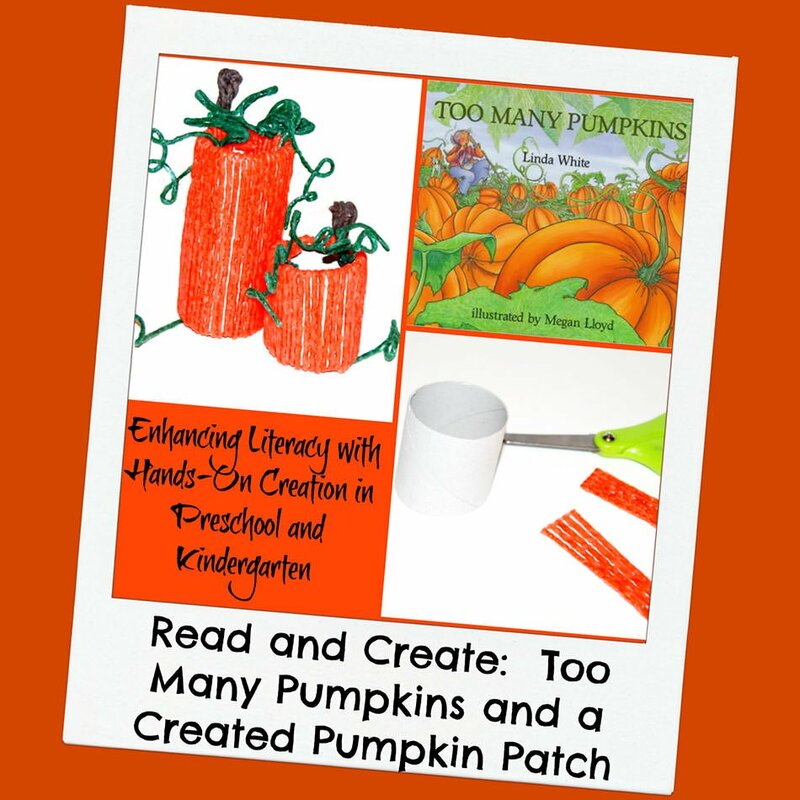 Read book and discover how Rebecca uses creativity to solve her pumpkin problem. After finishing the book, invite kids to create a pumpkin patch craft of their own with Wikki Stix! Wikki Stix Pumpkin Patch Craft for Kids! Prior to the creating the Pumpkin Patch Craft: assemble all supplies on a table or a large tray as in invitation for the kids to create. Kids should lay orange Wikki Stix vertically along the cardboard tube and press the ends inside the cardboard tube. Several strands of Wikki Stix can be added to the tube at one time. 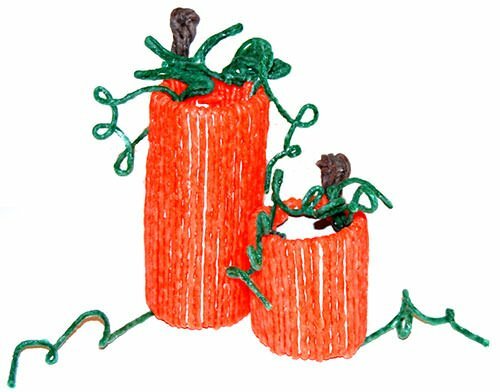 To create smaller pumpkins for the pumpkin patch, cut a cardboard tube in half and decorate with orange Wikki Stix (also cut in half). When the tube is covered with orange Wikki Stix, kids can create vines and leaves for the craft with green Wikki Stix. Remember there is no wrong or right way to create with Wikki Stix. Kids can create the vines and leaves in various shapes and sizes. Press the created vines and leaves to the Wikki Stix covered cardboard tubes. To create the stem for the pumpkin, cut brown Wikki Stix in half and twist several strands together. Fold the twisted Wikki Stix in half and press to the top of the pumpkin craft. Have the kids create several cardboard tube pumpkins of various sizes. Lay the pumpkins out and attach the pumpkins together with additional green Wikki Stix vines to create a durable seasonal pumpkin patch display at home or in the classroom. Extension idea: use additional Wikki Stix pumpkin crafts as silverware/napkin holders (rings) for a seasonal kids’ table décor idea. Kids can re-use the Wikki Stix for playful creations during and after holiday festivities. Too Many Pumpkins by Linda White introduces the season of fall while offering a lesson for kids as Rebecca finds clever ways to solve her pumpkin patch problem. 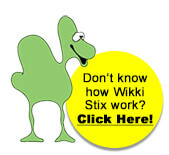 Wikki Stix offers creative kids the extra tactile layer so important for learning while creating. Kids will have FUN reading the book and crafting their own special pumpkin patch with Wikki Stix this fall!